Through the poetic lyrics of holehole bushi (Japanese folksongs), Franklin Odo (Founding Director, Smithsonian Institution’s Asian Pacific American Program) traces the experiences of Japanese immigrant plantation sugar workers caught in the global movements of capital, empire, and labor during the late 19th and early 20th centuries. From despair and defiance to love and lust, the sentiments conveyed in the lyrics of holehole bushi illustrate both the evolving local conditions and global context within which the workers, and particularly women workers, found themselves. We celebrate the publication of Voices from the Canefields: Folksongs from Japanese Immigrant Workers in Hawai‘i with a selection of readings, song, and film. RSVP by Monday, January 20 using the form below. 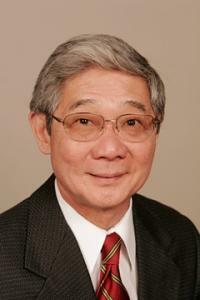 Franklin Odo retired in January 2010 as Founding Director of the Smithsonian Asian Pacific American (APA) Program. He served in that capacity since its inception in 1997. During his tenure, six major exhibitions on Asian Pacific American ethnic groups were created or hosted at the Smithsonian. He was Interim Chief of the Asian Division, Library of Congress in 2011. He has been Director of Research and Education at the National Japanese American Memorial Foundation and a Senior Advisor to the International Student Conferences. He leads a “Theme Study on Asian American Pacific Islanders” for the National Historic Landmarks Project of the National Park System and is Senior Advisor to Densho. Odo was a professor of Ethnic Studies at the University of Hawai’i and visiting professor of History and American Studies at the University of Pennsylvania, Hunter College, Princeton, and Columbia Universities in the 1990s. He received an MA in East Asia Regional Studies from Harvard and a PhD in Japanese history from Princeton University. His book, No Sword to Bury: Japanese Americans in Hawai`i during World War II, was published by Temple University Press in 2004; he edited the Columbia Documentary History of the Asian American Experience, published by Columbia University Press in 2002. His new book of folk songs from Japanese immigrants working on Hawaii’s sugar plantations was published by Oxford University Press in October 2013. These translated lyrics depict the richness of life and work in the late 19th and early 20th Centuries, especially among women workers. Among his awards are the Lifetime Achievement Award from the Association for Asian American Studies, a Distinguished Service Award from the Asian American Justice Center, Leadership Awards from the Japanese American Citizens League and the Organization of Chinese Americans. Odo was appointed Humanist in Residence at the John Nicholas Brown Center for Public Humanities at Brown University in April 2013.